Iron Gate was born in the courtyard of Trinity Episcopal Church in Downtown Tulsa forty years ago. It all started when three Trinity parishioners stepped out of a bible study class to fix a homeless man a sandwich. Hundreds of thousands of meals and four decades later, the mission remains the same. Iron Gate is committed to feeding the hungry and homeless of Tulsa. In 2019, Iron Gate will take that commitment to the next level by opening a new 17,000-square foot facility. While the brick and mortar will be different, the heart will stay the same. 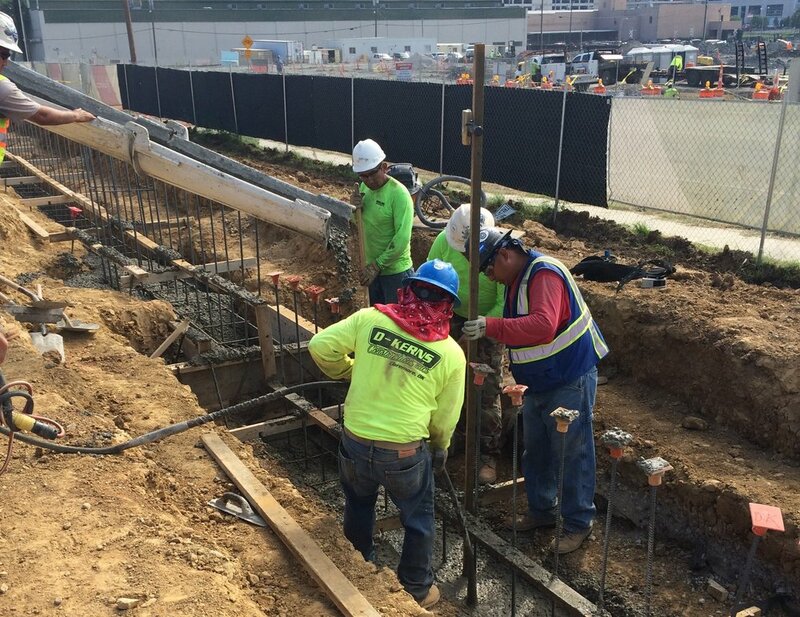 We are building a facility that not only can our city be proud of, but a place where our guests will feel at home. 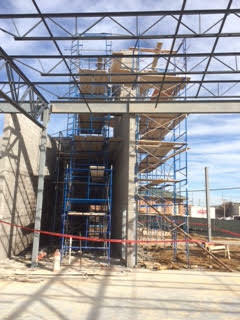 Check back to watch our progress as Iron Gate on Archer takes shape. Iron Gate has operated out of the basement of Trinity Episcopal Church for more than 40 years. In August 2018, we broke ground on a new 17,000 square-foot facility in Downtown Tulsa. This video shows a little of the building's rise over the last nine months. This video takes you inside the new Iron Gate on Archer. This is our first look inside the new 17,000-square foot facility. 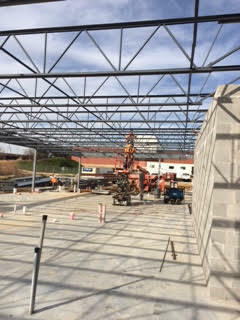 Construction crews have started installing the interior framing. The video begins on the back dock, takes you through the corridor to the administrative offices, past the kitchen and ends in the new dining room. Iron Gate's mission is to feed the hungry and homeless of Tulsa. This new facility will allow us to continue that work and better serve our guests. Iron Gate broke ground on its new home August 2, 2018. 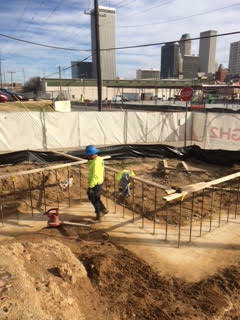 The organization is building a new 17,000 square foot facility in downtown Tulsa to better serve our guests. 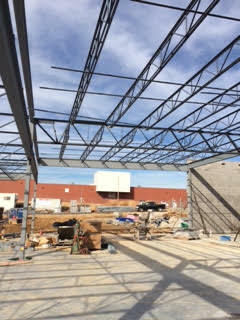 Our new home will feature a covered patio and a dedicated food pantry. Iron Gate's new home is starting to take shape in Downtown Tulsa. "It is really exciting to watch this project come together," said Carrie Vesely Henderson, Iron Gate's Executive Director. "The staff and I are so excited by the progress, we're at the site almost daily tracking the development." Iron Gate's construction team led by Flintco began laying the ground work shortly after the groundbreaking ceremony in August. 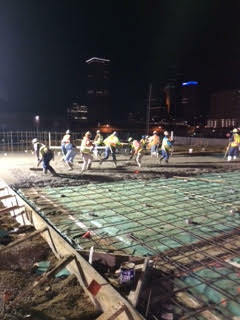 They made quick work of putting in the electrical and mechanical infrastructure underground and pouring the foundation. 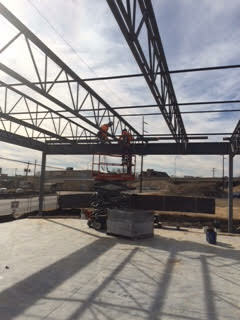 Steel began going up in early December. 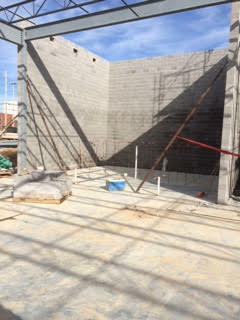 If you drive by the space on west Archer, you will see the 34-foot fireplace wall, which will be a distinctive feature of the new covered patio. 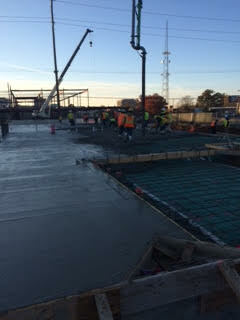 Crews have also installed the concrete walls that will eventually form the building’s loading dock. Iron Gate signed a 99-year lease with Tulsa County in April for the 1.77 acre-lot at the intersection of West Archer and North Frisco. 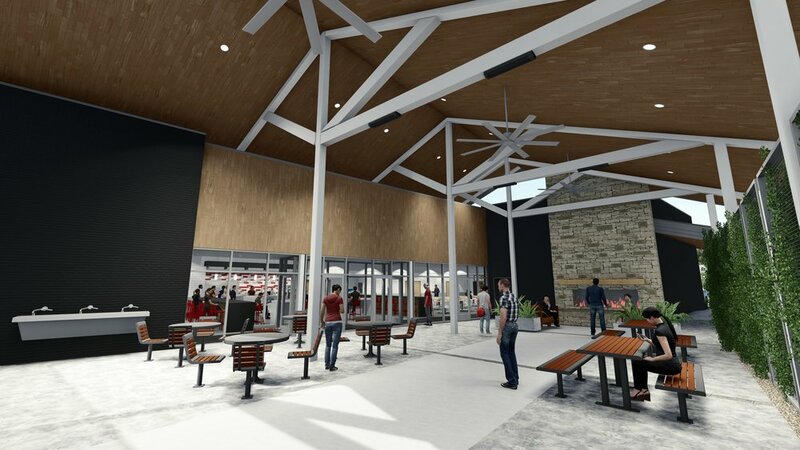 Iron Gate's new 17,000 square foot facility will feature a covered patio, a dedicated grocery pantry, and more storage space. The property is next door to the Day Center for the Homeless and across the street from the new family justice center. Iron Gate houses its current operations in almost 5,000 square feet of space in the basement of Trinity Episcopal Church. The new facility is three times as large as the current space. It will include a dining room that can seat up to 237 guests. The current dining room only seats 88. The new facility will also dramatically increase Iron Gate’s storage capacity adding 1,500 square feet of bulk storage and cooler space as well as a new 1,200-square-foot dedicated pantry space. After a three-year search for a new location, Iron Gate breaks ground on its new home in Downtown Tulsa. Nearly one hundred people gathered in Downtown Tulsa to break ground on a new facility dedicated to feeding the hungry. "While the road to this location was long, winding, and full of bumps we always knew this day would come and we never lost faith.” said Shane Saunders, Iron Gate’s Board Chair. “Our belief in the generosity of Tulsans and our commitment to serving our guests with dignity were the guide-posts that made this day possible. 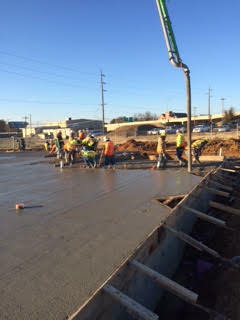 In a few short months a new building will rise from the ground where we are standing. More than a building, Iron Gate's new home will be a welcoming place for our guests, a source of pride for Tulsa, and the envy of other cities." Iron Gate is Tulsa’s largest stand-alone soup kitchen and grocery pantry. It serves a community meal every day and offers a grocery pantry three times a week. The organization served almost 210,000 meals last year. Iron Gate signed a 99-year lease with Tulsa County in April for the 1.77 acre-lot at the intersection of West Archer and North Frisco. 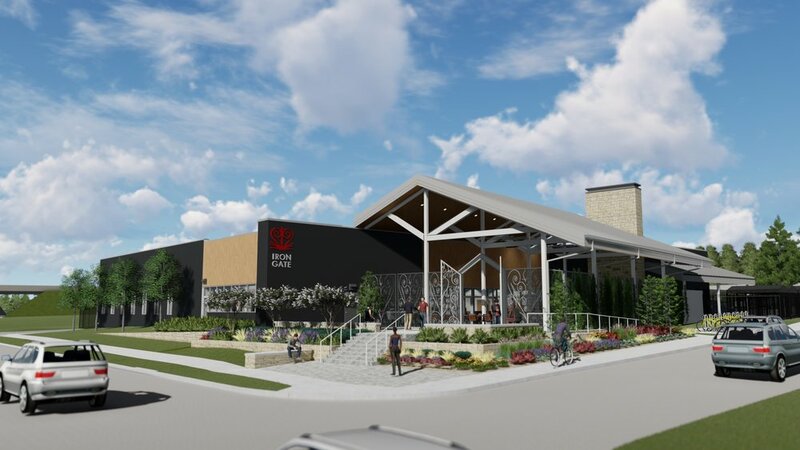 Iron Gate unveiled new drawings for its 19,000 square foot facility, which features a covered patio along with the organization’s signature iron gates. The six-million-dollar project will double the organization’s capacity. Iron Gate is currently located in the basement of Trinity Episcopal Church. 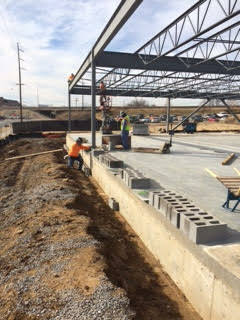 The new dining room will include seating for 237, with an additional 60 seats in the covered patio. The new building will also dramatically increase the organization’s cool and dry storage, allowing them to purchase more food in bulk. The new facility will also include a dedicated grocery pantry. Currently, Iron Gate’s dining room doubles as a grocery pantry three times a week. Partner agencies, Iron Gate supporters, and city and county leaders were on hand for the groundbreaking ceremony. Iron Gate contracted with GH2 architects, Wallace Engineering, and Flintco for the design and construction of the new building. On an average day, Iron Gate serves about 600 plates of food. At the end of the month when paychecks and subsidies run short, that can rise to more than 750. With Iron Gate's current facilities, a busy day can mean the line to get a meal can stretch out the door and into the church parking lot. That's why Iron Gate's new building features a dining room with seating for 237, nearly doubling its capacity. 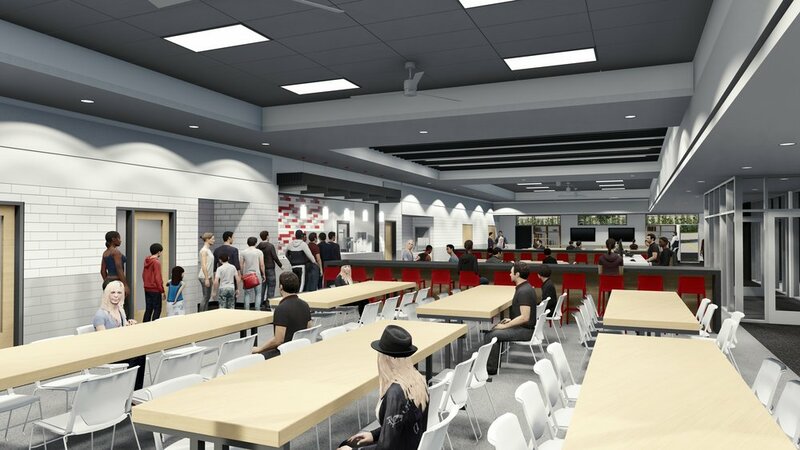 Guests will have a choice of a variety of seating options, from smaller family-sized tables to high-top bars featured in restaurants and coffee shops. Iron Gate's new building features a new covered patio with almost 2,000 square feet of space. 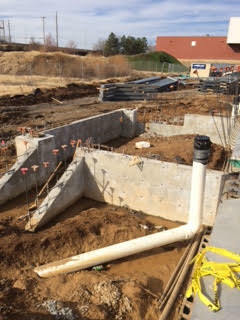 It will feature seating for 60 and an outdoor hand washing station. The patio was designed to help Iron Gate guests get out of the elements while they wait for the doors to open and eliminate the bread-line effect. Iron Gate believes in treating its guests with dignity, courtesy and respect. Iron Gate's new building was designed with those values in mind to better serve our guests.